A grad uate of the University of Oxford’s Diplomatic Studies programme, Her Excellency Ms. Perla Perdomo has served her country, Belize, in the field of International Relations and Diplomacy since the start of her career in the Belizean Foreign Service, which has spanned various roles at the Ministry of Foreign Affairs and at the Embassy of Belize in Mexico City, the latter of which she helped to establish. She has been the High Commissioner of Belize to the United Kingdom since July 2012. 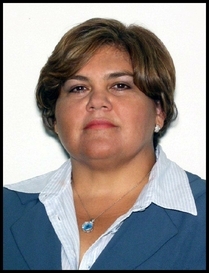 A Master’s Degree and professional experiences in business administration and global management, not only in her family’s local business but also in Belize’s Development Finance Corporation as Chairperson and in the region’s Inter-American Development Bank, have also been put to good use in the work she undertakes at the Belize High Commission specifically regarding the attraction of Foreign Direct Investments and Tourism to Belize. Additionally, High Commissioner Perdomo has a keen interest in working with and maintaining ties with the growing Belizean Diaspora not only in the UK but also in Europe, Africa and the Middle East. As worldwide markets continue to fluctuate, political landscapes continue to change, and global issues like Climate Change and Security remain pressing concerns, the focus of the Belize High Commission under the leadership of High Commissioner Perdomo remains threefold: (i) promoting Belize’s sovereignty, (ii) preserving its international interests as a Small State while contributing to shared global goals, and (iii) positioning its economy as a preferred foreign investment destination in Central America and the Caribbean.